Blue, higher average simmilarity. See Soberón, J. 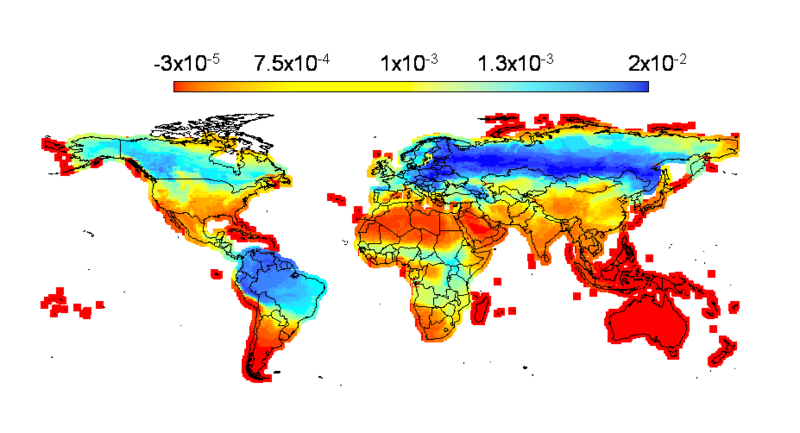 & Ceballos, G. Species richness and range size of the terrestrial mammals of the world: biological signal within mathematical constraints. PLoS ONE 6, e19359 (2011).) We would like to be able to describe these patterns at many spatial scales and also to understand what causes them. Some of us in the lab are also interested in biodiversity international policy, which means using our understanding of the patterns and their causes to inform how decisions are taken by governments. How? Much of the work is done using mathematical modelling and numerical analysis of large specimen databases. We use GIS, R and Mathematica as the main tools. Where? We concentrate our studies in the Western Hemisphere, but sometimes we focus in North America in a geographical sense (i.e., beginning in Panama). Other times we look at the entire world. The lab is driven by questions, more than taxa or regions. Why? Studying areas of distribution is of fundamental biological importance. 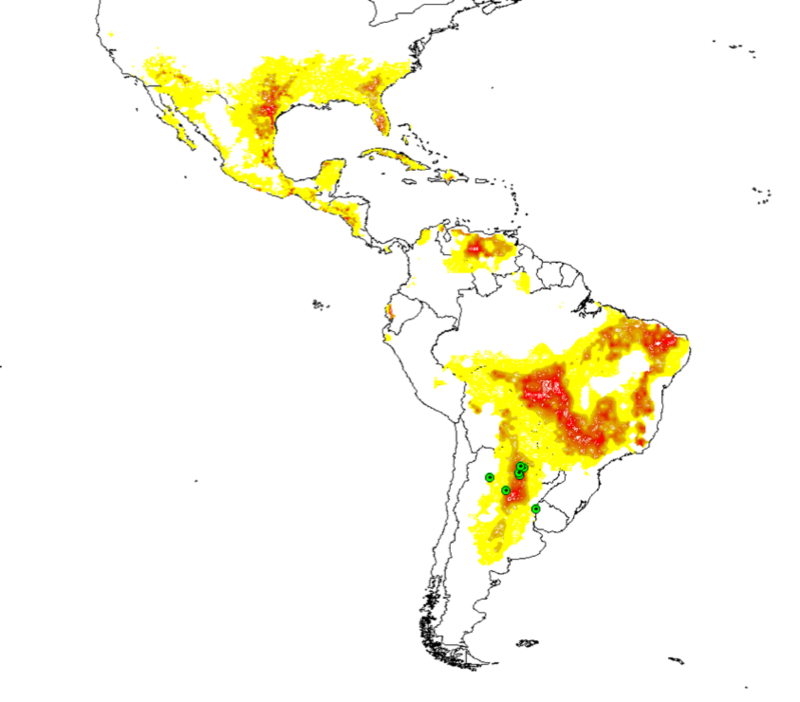 Areas of distribution are at the core of Biogeography, Macroecology and Evolution. They are also extremely important from a practical point of view. To the left is the map of a nasty invasive species (the Cactus Moth), highlighting areas of North America vulnerable to invasion. See Soberón, J., Golubov, J. & Sarukhan, J. The importance of Opuntia in Mexico and routes of invasion and impact of Cactoblastis cactorum (Lepidoptera: Pyralidae). Florida Entomologist, 486-492 (2001). Who? The PI, students and post-docs appear in the "People" section of the page.